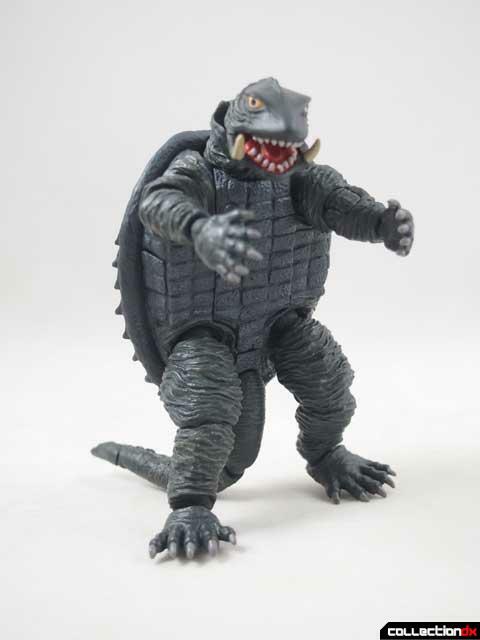 This is the Gamera I grew up on. 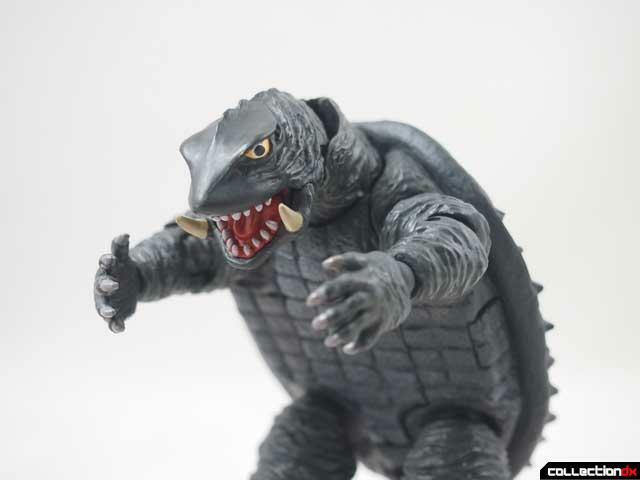 When Creature Double Feature was on Channel 56, my favorite was the Gamera movies, in all their cheesy glory. 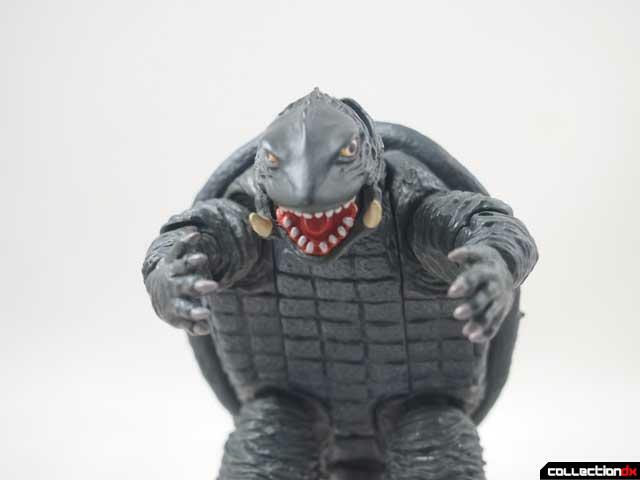 Gamera was a friend to all children, and I was a child with few friends. It was a match made in heaven on our black and white TV. Naturally, I grabbed this because of my affinity for the character. 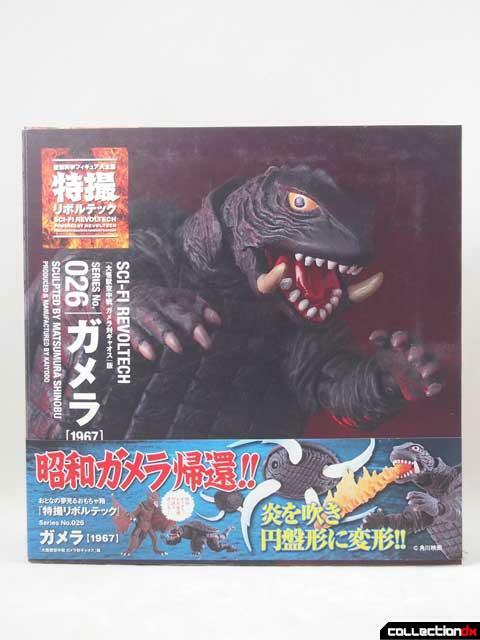 But I was hesitant, as i was less than thrilled with the earlier attempts at Revoltech kaiju. 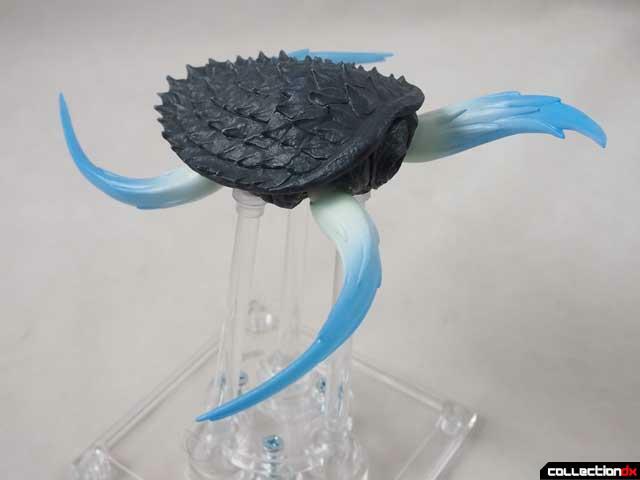 This is the 26th release in the Sci-Fi Revoltech line, a spin-off from the regular Revoltech line. 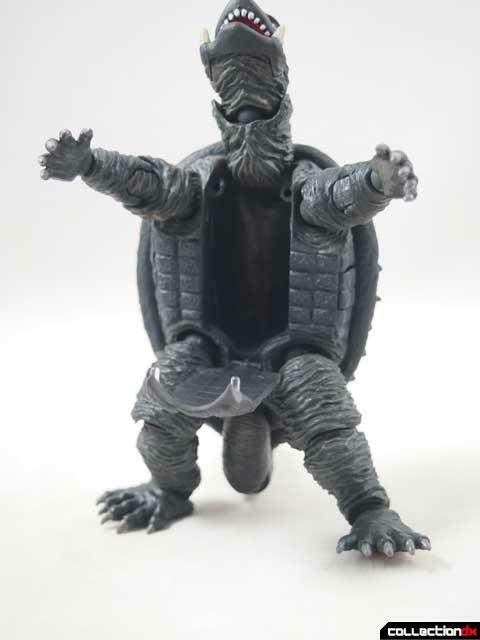 Gamera comes packaged in the now-familiar Sci-Fi packaging. 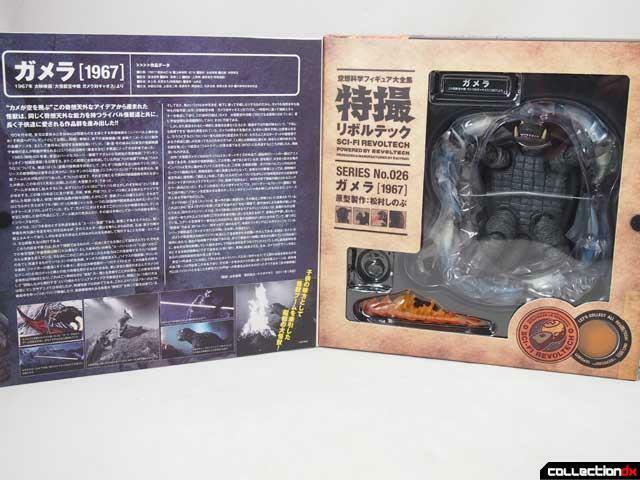 The inside has some information about the character, which of course I cannot read. I'm sure its fascinating. 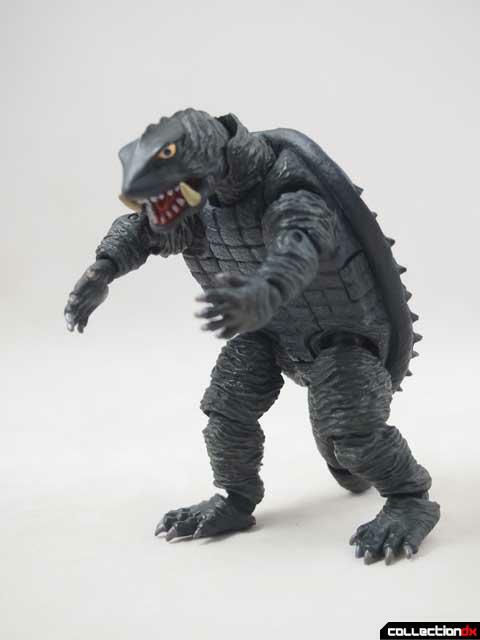 And here's Gamera. 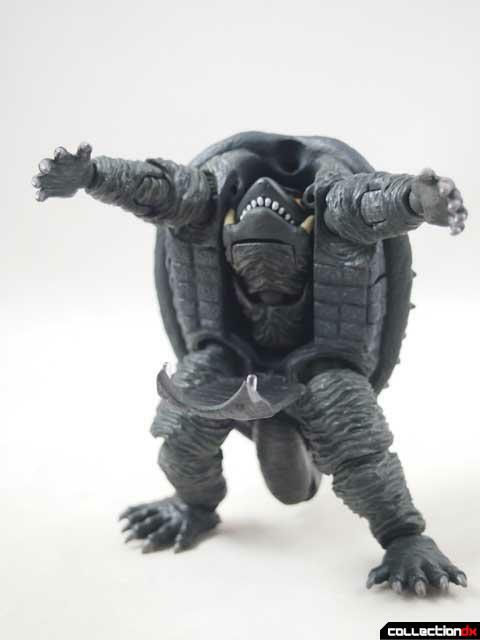 See this pose? This is about it, minus a few degrees of motion here and there. 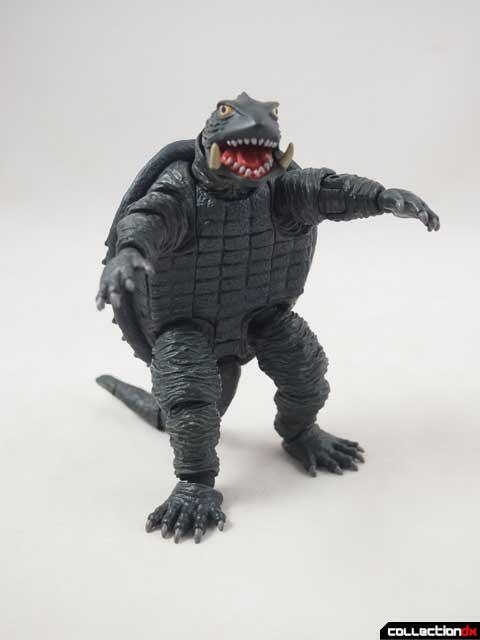 To the designer's credit, it pretty much looks like a dude in an uncomfortable rubber suit. 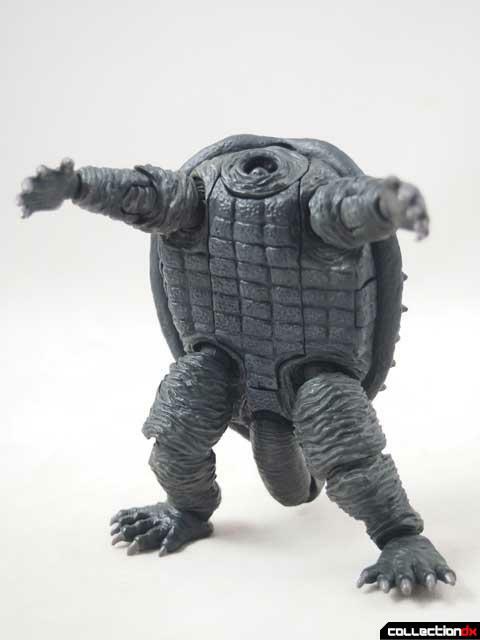 Ok, so there's a small amount of articulation. Lots of joints, little movement. 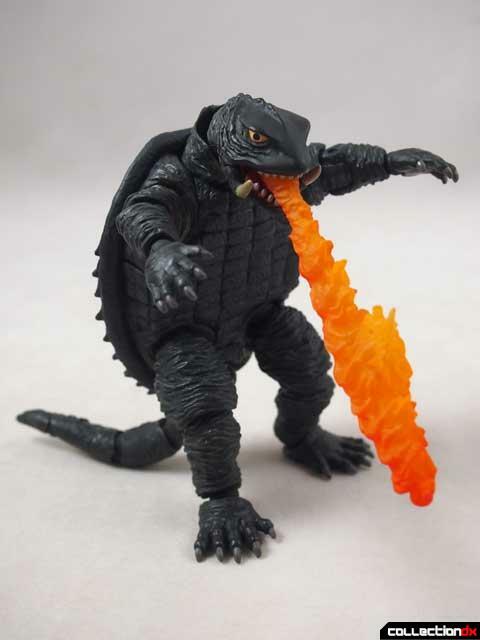 Gamera breathes fire, so he comes with a fire effect part that wedges into the mouth. 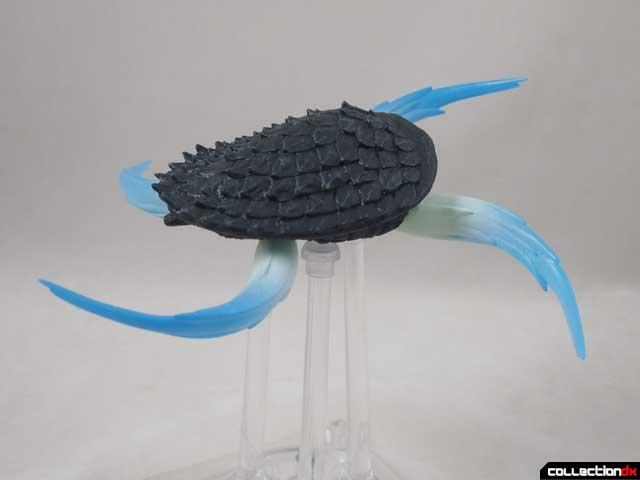 It looks cool. 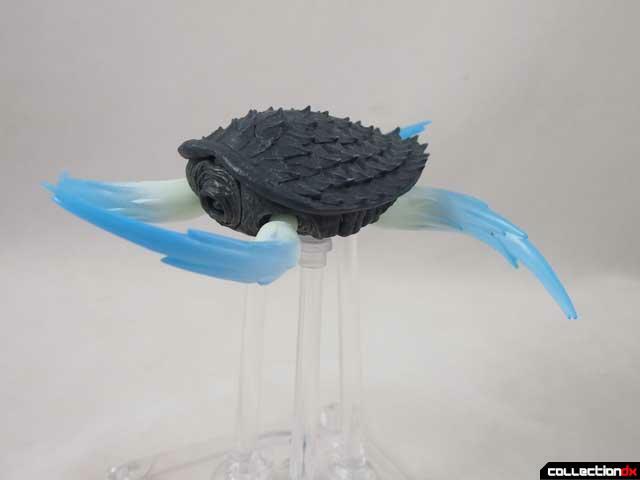 This toy can also replicate Gamera's flight mode. There's a lot of dissasembly involved. 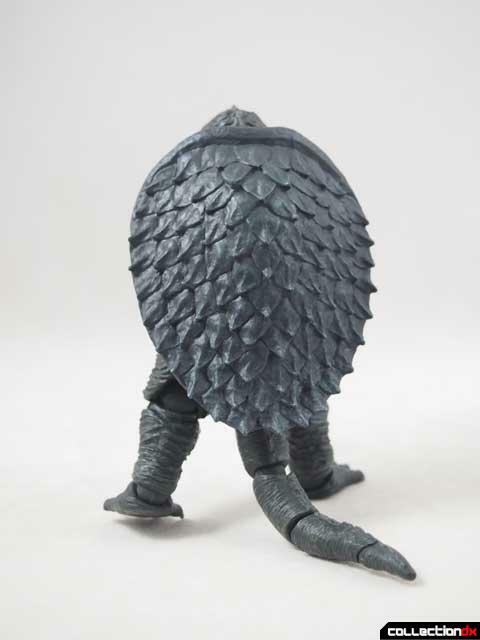 The head stores in the chest, and a separate tail nub is installed. 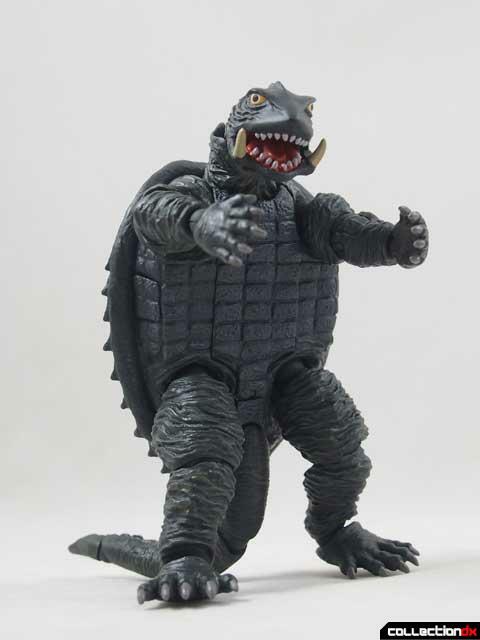 A new cover fills in the gap where the neck was. 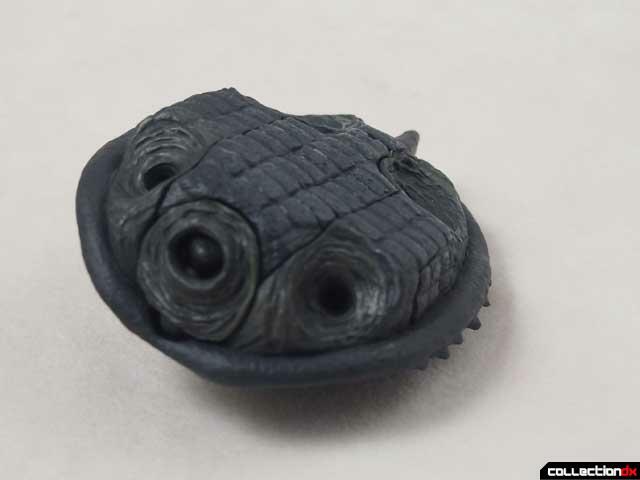 Here you have the hockey puck mode. 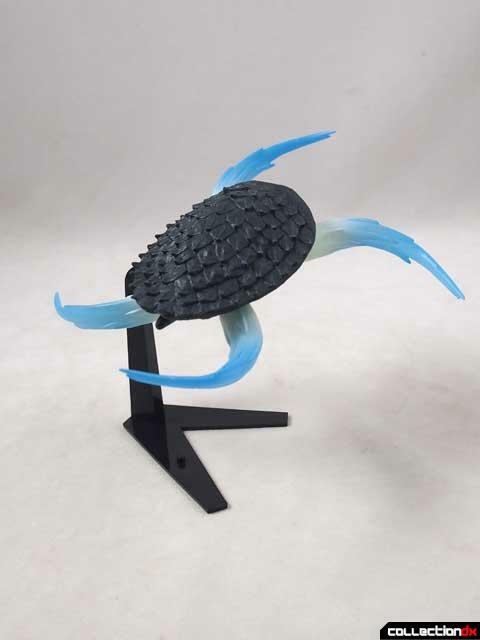 The puck attaches to the stand with a Revoltech joint to the side. There's a small removable panel on the side to accomodate this. 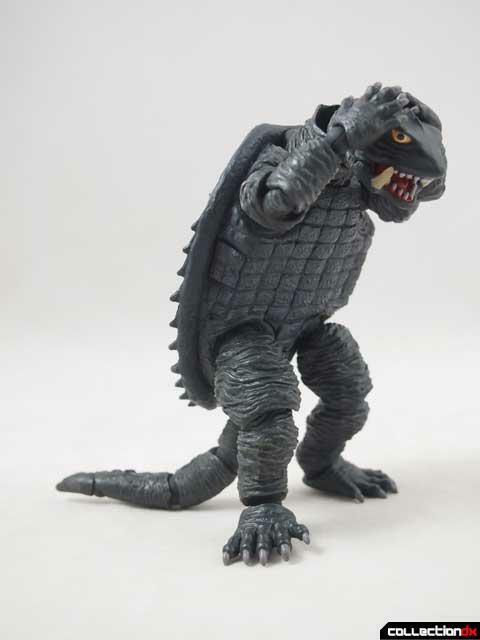 Of course, Gamera didn't just fly, he spun! Four jet effects parts plug in to where the legs were. 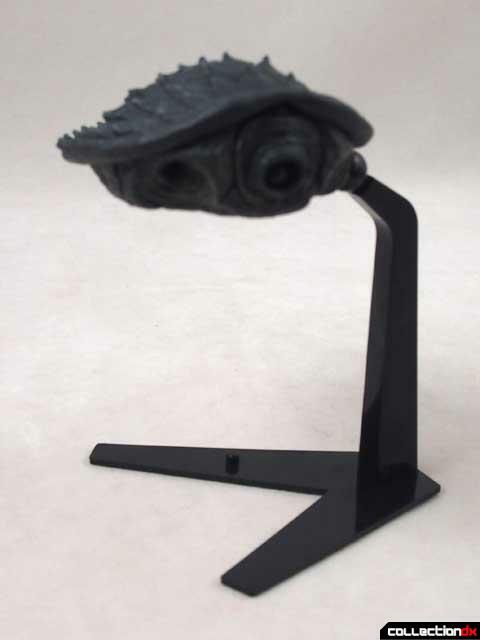 They are neat, but don't look quite right. Maybe the angles are wrong? 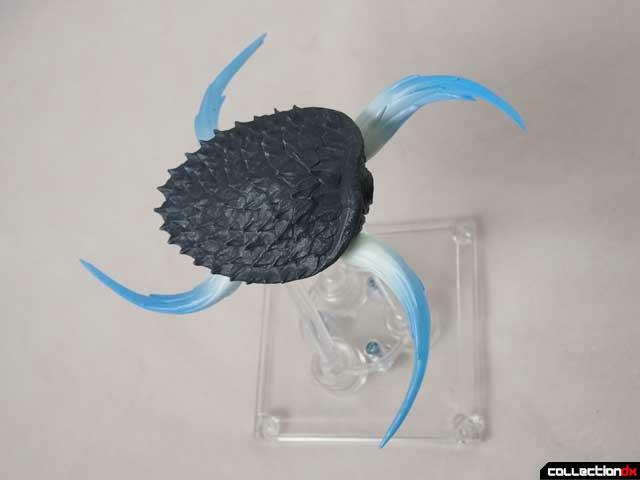 The black Revoltech stand is distracting so I used a FlightPose stand instead. 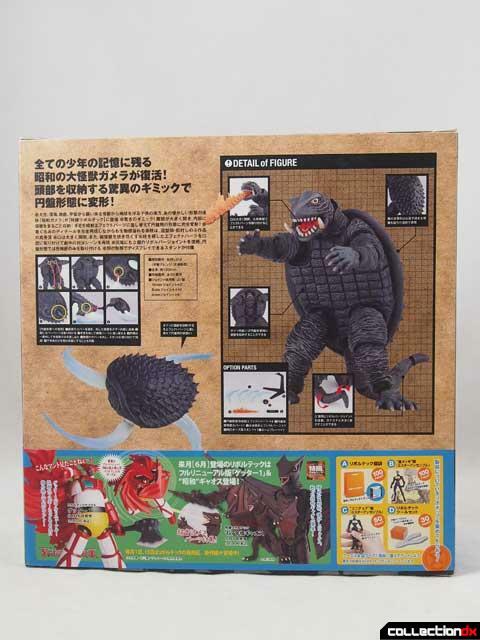 Also included is the nameplate, and a Revoltech container and chip. 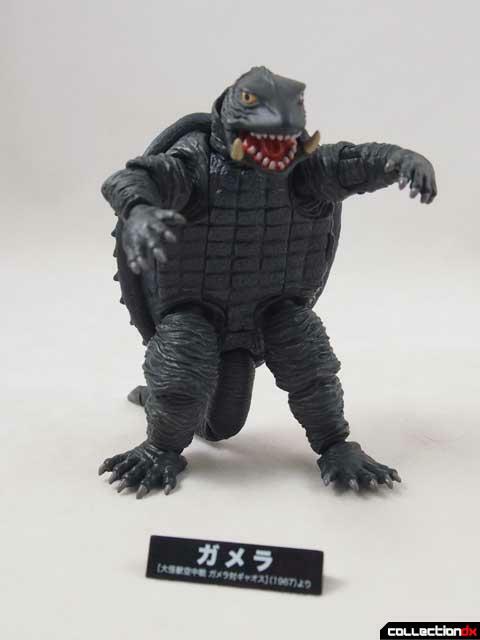 As much as I love Gamera, I can't help feel ambivalent about this toy. 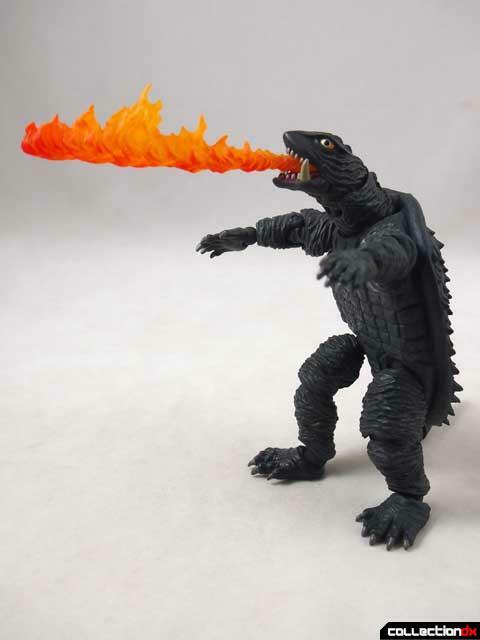 Maybe I am just burnt out with the whole Revoltech gimmick, but I would rather have a nice, fixed pose statue or vinyl. 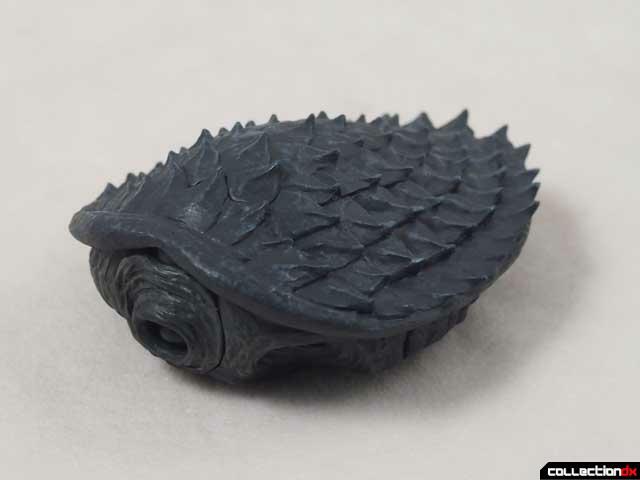 It's nice enough, but your mileage may vary.